Thank you for the opportunity to present myself on your distinctive blog and exceptional readers. I migrated to US from India and brought with me memories of land rich in culture and beliefs. For as long as me and my wife were by ourselves we never took a moment to think about our cultural heritage and our values. But once we had Arya, our son, our perspective changed. He was growing up fast and seeing American culture all around him. That’s when we realized that there is a treasure called “India” which he is not exposed to and will never get to know unless we do something about this. Sure we can take him to local gatherings, temples, celebrate one or two festivals but that simply is not enough. Kids learn a lot from many different channels, One of those most effective channel is books. For Arya any time is story time, no matter how sad or how mad he is a book can always come to rescue. So that got me into making up stories and morals that we have learned as kids and narrate those stories to him. But I had to pick up a pen when he started to demand that I tell the same stories over and over again and use same immersive words every single time. So I decided to pick up a pen and start writing something with cultural significance, something that he cannot learn anywhere else and put it on paper so every time I read it will be exactly the same. So in many ways with both my kids a writer was born in me and an illustrator was born in my wife. When it comes to Shabdon ki Holi, my inspiration comes from multiple directions. First and foremost and core of my story comes from the basic that every parent that I know and the one’s that I don’t know they all have one thing in common they love their kids and they always want only the best for their kids. And there are times in all of these parents life that they come across a stage where kids test their limits and that frustrates parents a lot. In my story two brothers Ramesh and Suresh do just that and blabber to the extent of annoyance for their very loving Mom. So that is my first aspect on this book. Second aspect to Shabdon Ki Holi is to bring one of a very lively festival, Holi, from India. Holi is also known as color of festival enjoyed by everyone from young to old. Third and last aspect of Shabdon Ki Holi is entertainment and that is achieved by creating fun new characters which we call as Jeevs which in Hindi means creatures. These characters are funny, lively and playful. They love visitors and indulge actively with them. It’s the combination of these three aspects that takes two brothers on a fun adventure while teaching them a very important lesson. Any children book is just bare bones until it’s complimented by illustrations. In Shabdon ki Holi, Nayan Soni has done wonders for illustration. He is cartoonist and his style is fun and casual and speaks to kid directly. This book in particular is very home for him as far as style goes. He is characterization of Jeevs Bandhu and Pratham is absolutely stunning and true to the nature in the story. It almost feels like he brought his inner self to life in those characters. When you look at expressions of each of the characters they are mind blowing. Last and not the least our editor, Piyush Ranjan did a fabulous job in bringing right content to the story. Piyush has a command on Hindi language. I have read some of his poems and this is in fact my 4th book with him. While my stories are simple, keeping language simple is equally important and Piyush does a great job of playing with simple words while conveying important message. The end result “Shabdon ki Holi” is sure to tickle your funny bone and at the same time bring home a very important message. 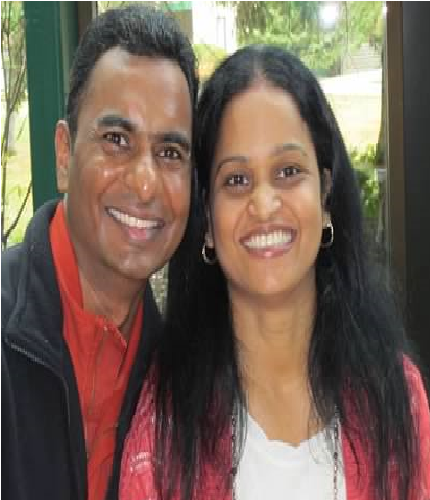 Subhash and Sujata hail from India. They migrated to the United States along with their memories of childhood and youth. Now that they are parents, just like every immigrant they crave to introduce their child to the culture and values of their upbringing. Yet it is challenging to teach something while you are in the midst of adjusting to a different culture yourself. 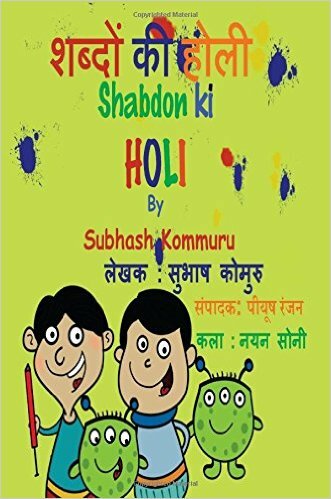 Shobhan’s latest book is the children’s book, Shabdon Ki Holi. Connect with Subhash on Facebook and Twitter. Find out more about Subhash at Goodreads.